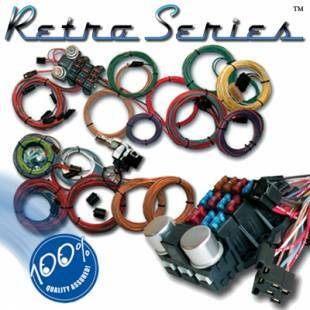 The RETRO SERIES is ready for small stock to 140 amp, or more, One Wire alternators. 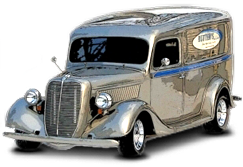 It will wire your turn signals, headlights, tail lights, brake lights, gauges / senders, engine (starter, alternator, distributor), ignition switch, headlight switch, Hi/Lo Dimmer Switch, 3rd Brake Light & License Plate Light. It can be used for a dash mounted or steering column mounted Key, Hi/Lo and turn signal Switch.